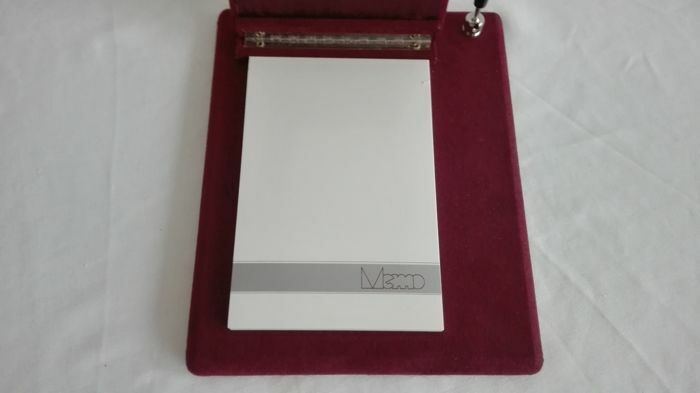 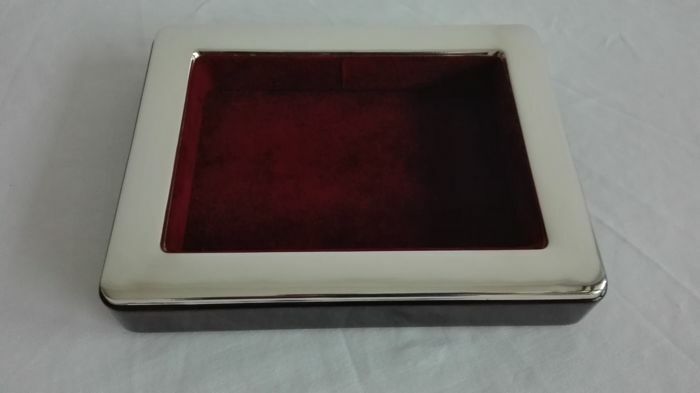 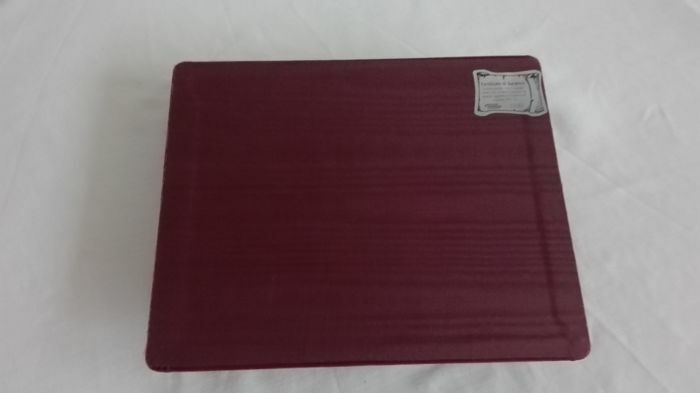 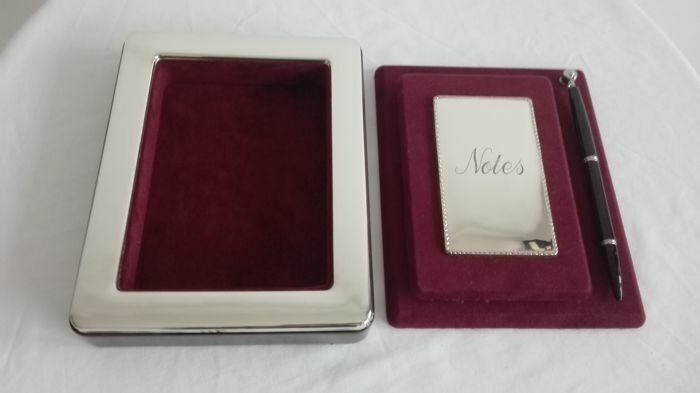 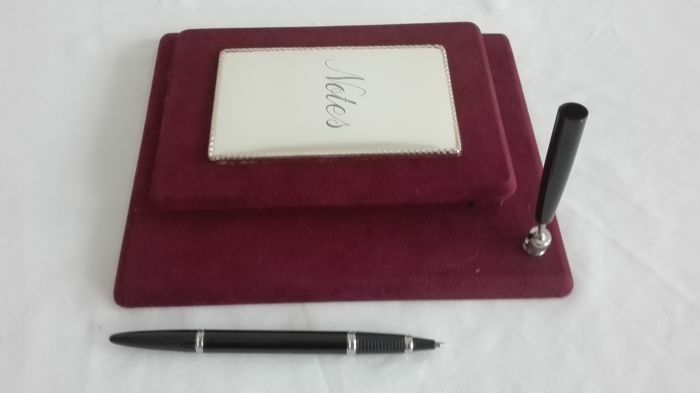 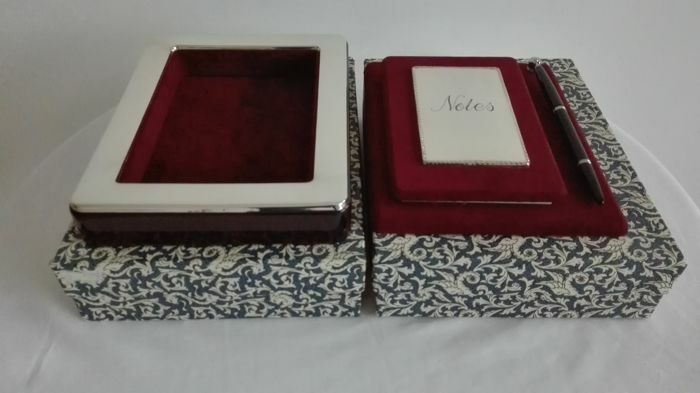 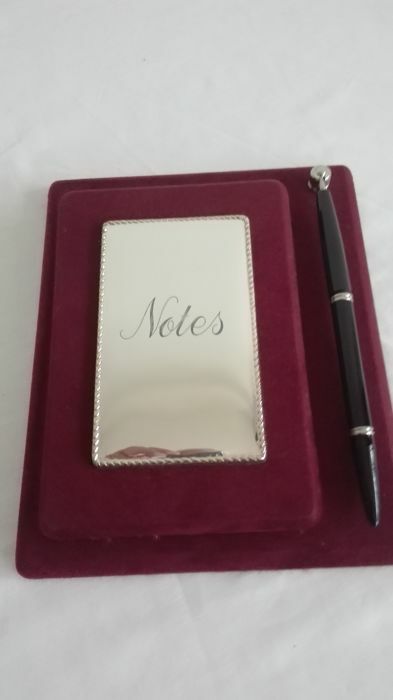 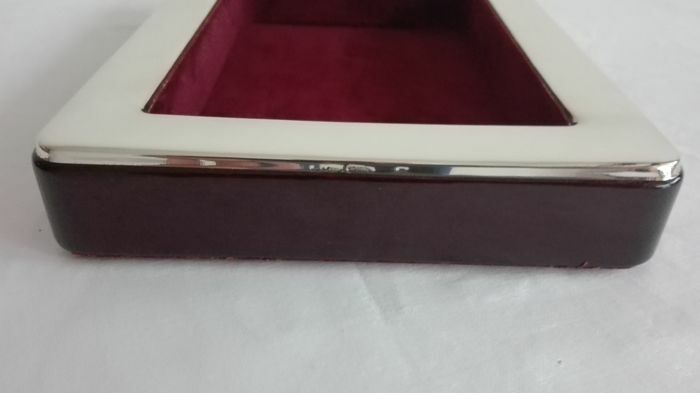 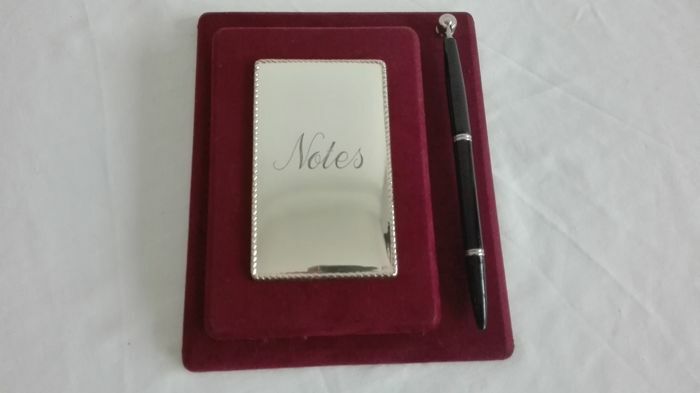 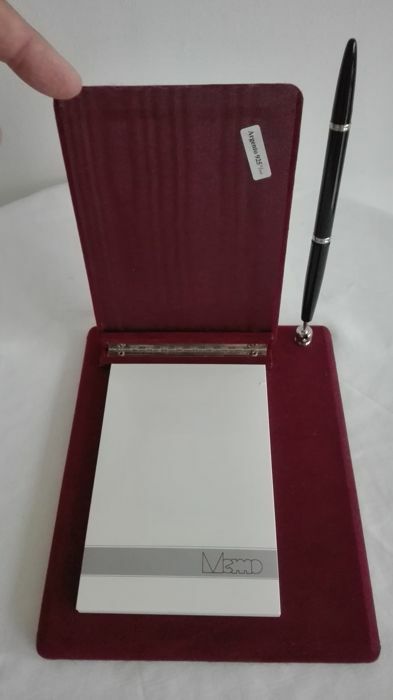 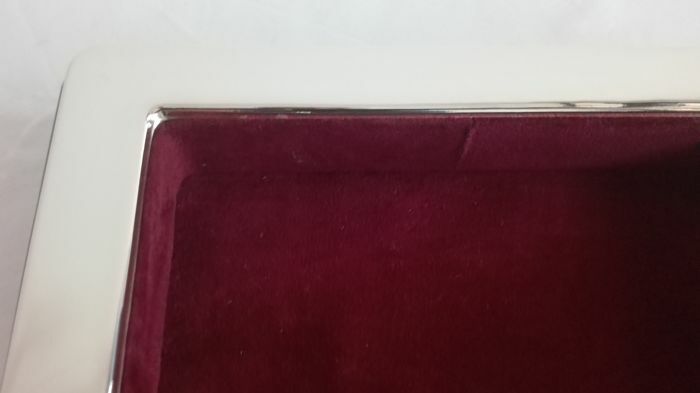 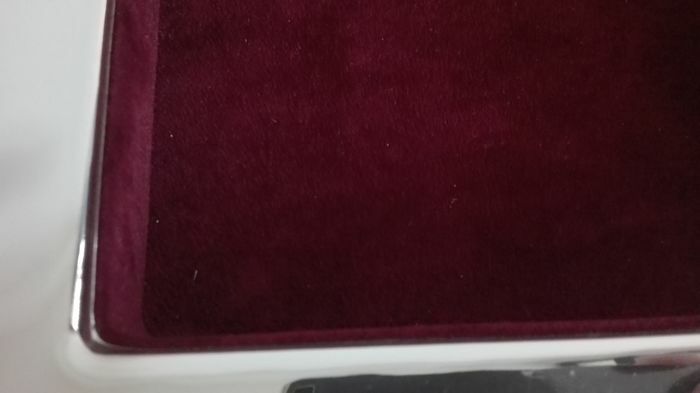 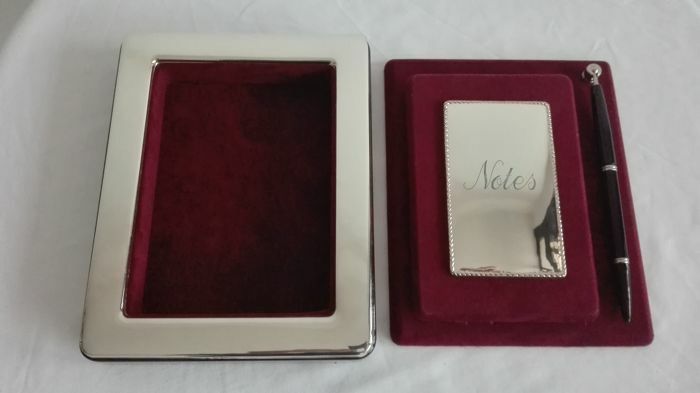 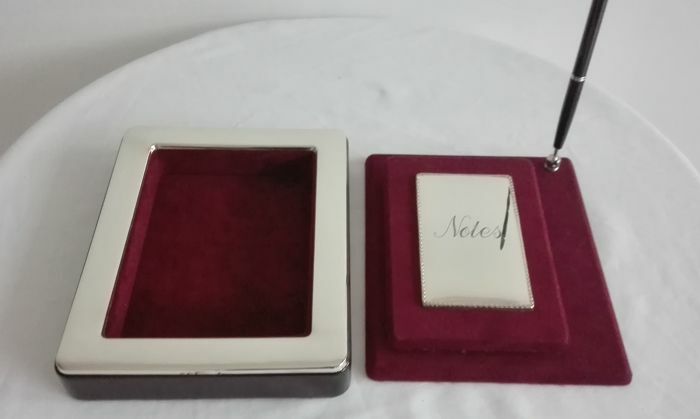 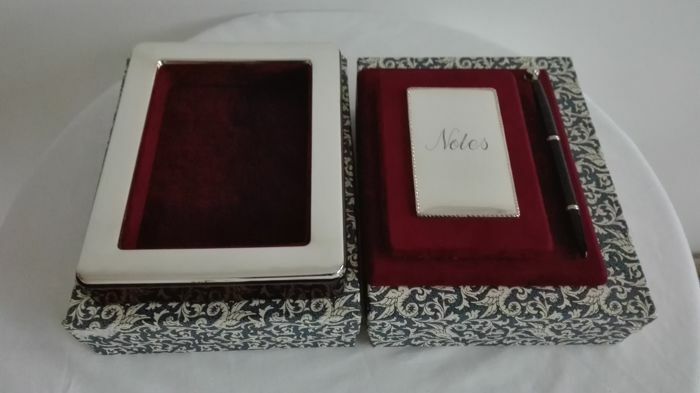 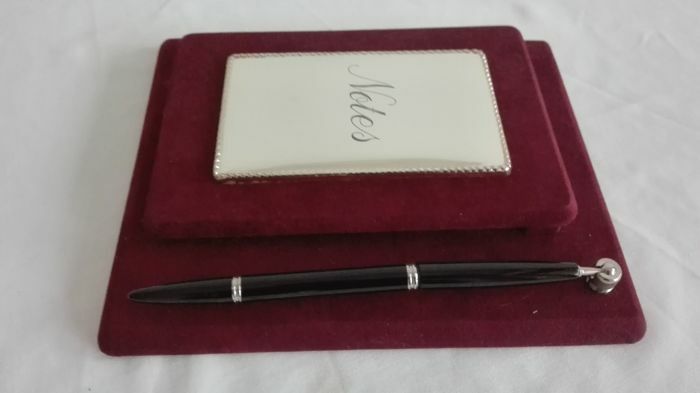 - a wooden notepad, covered in velvet, embellished with a 925 silver plate with the word ‘Notes’, complete with pen. 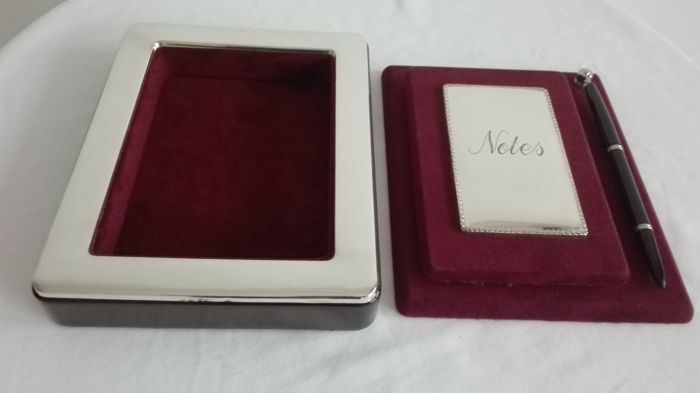 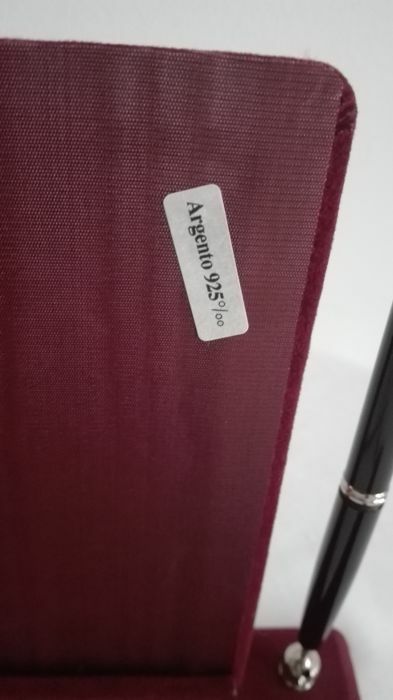 In its original case and in perfect condition. 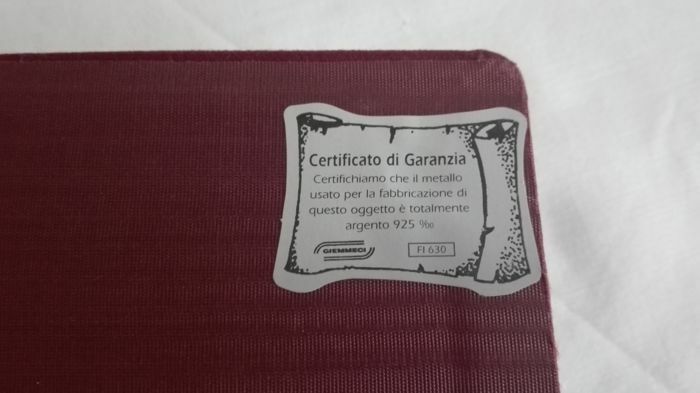 Warranty Certificate no. 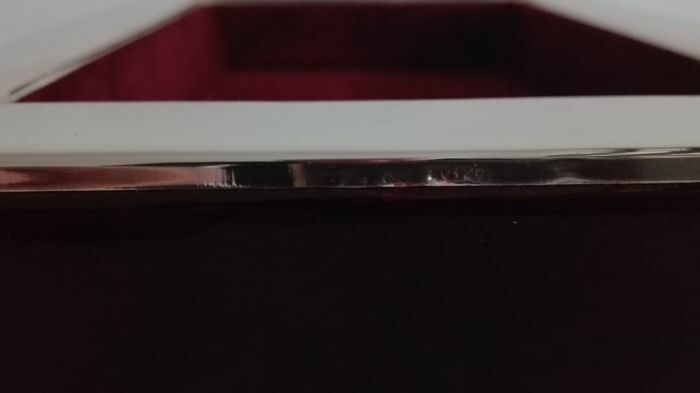 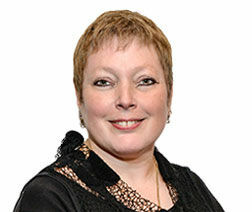 FI 630. 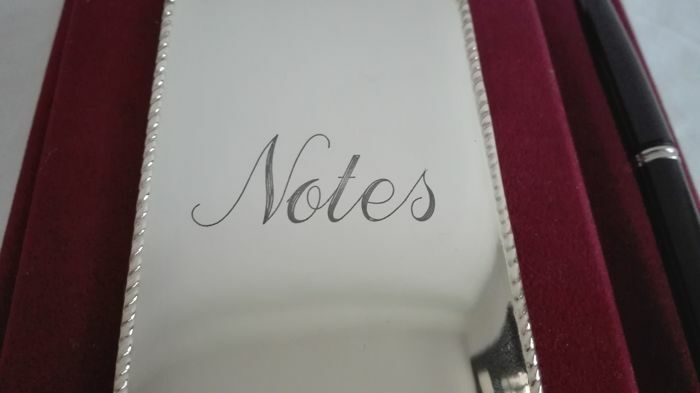 - notepad 21 x 17 cm, weight approx. 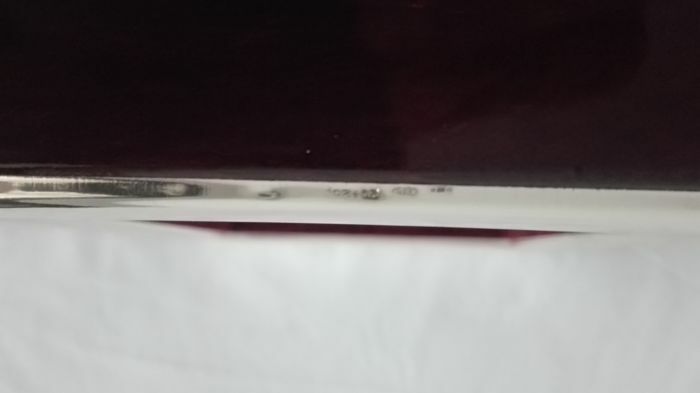 577 grams.